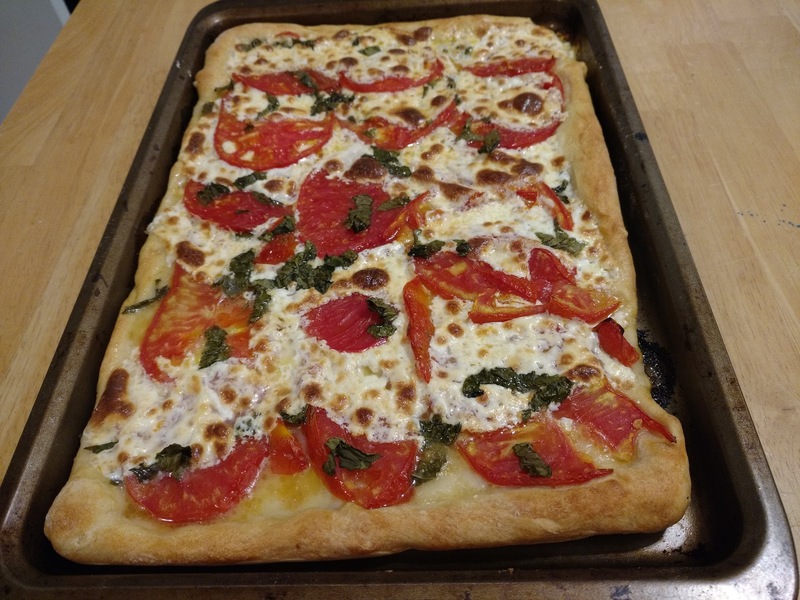 I have never made a Margherita Pizza until tonight. When your husband brings home the most delicious tomatoes from Coles Farm and your basil plant is busting with leaves what else can you do? I stopped at Bishop's for some fresh mozzarella and headed home. I took pizza dough out of the freezer this morning. I believe I could have eaten the whole pie myself. Just ask my friend Heidi about my college days, it can be done. I was an adult about this and only had 3, okay maybe 4 pieces. The tomatoes are the best ever!! !